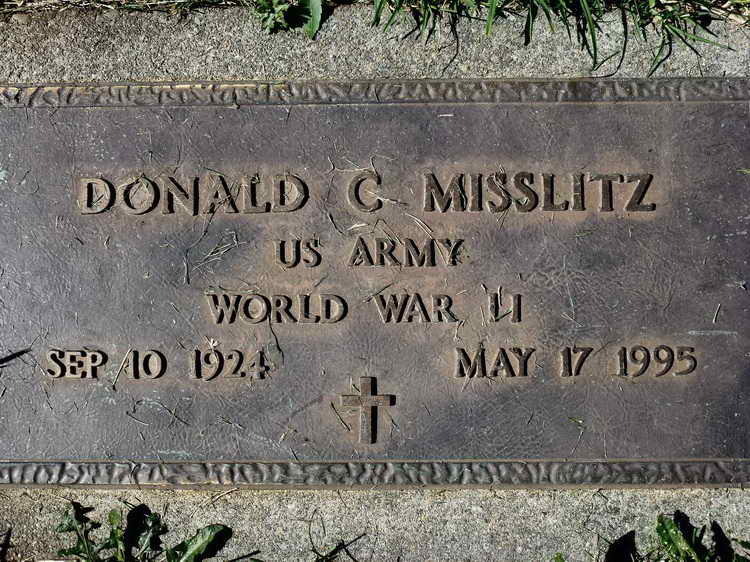 Grave marker for Donald C. Misslitz in the Meditation section of Skylawn Memorial Park, San Mateo (San Mateo county), California. Donald enlisted in the Army at Fort Snelling, MN on 26 July 1944. 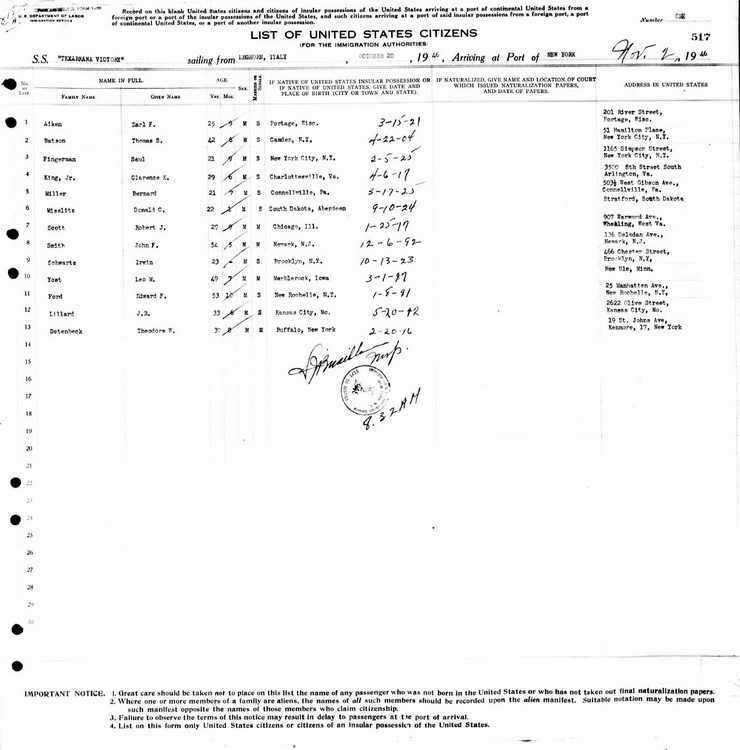 On 23 April 1945 Pvt Misslitz was transferred from the 51st Reinforcement Battalion to Company A, 508th PIR. He was awarded the Good Conduct Medal on 11 July 1945. 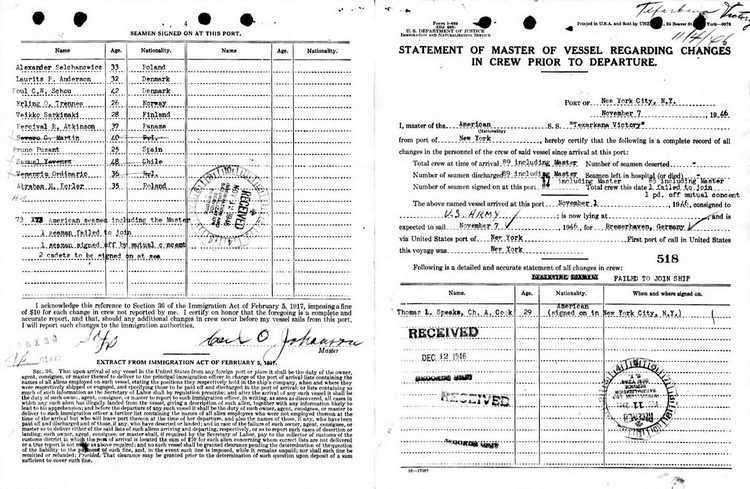 On 2 November 1946, Donald arrived in New York City, NY aboard the USAT Texarkana Victory having sailed from Leghorn, Italy on October 20th. The port of Leghorn, at the time was so small that it didn't have its own American Consul office. 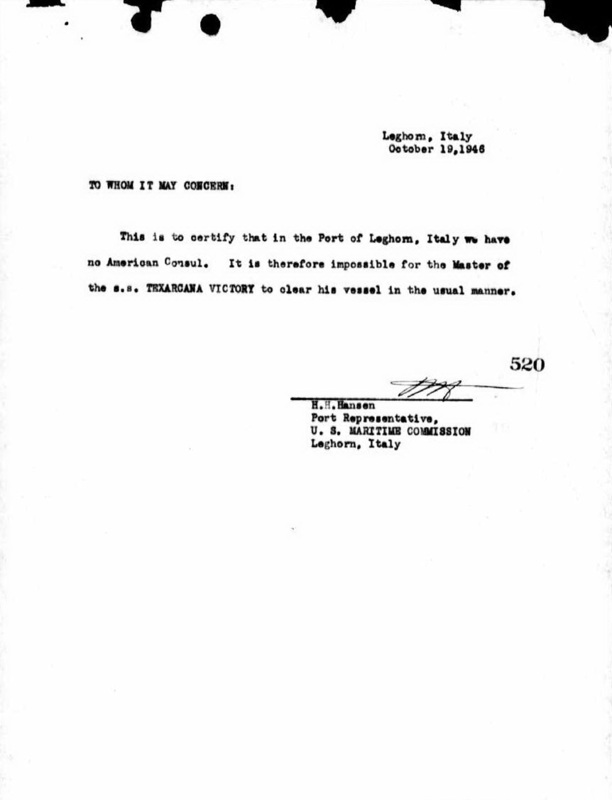 Instead, an affidavit was filed by the U.S. Maritime Commission, attesting to the fact that the vessel's maser was unable to clear his ship in the normal manner. Leghorn (the translation in English) is now more appropriately known by it's Italian name of LiˈVorno, or its English equivalent of Livorno. Today it is a bustling port with many cargo shipments daily. It also hosts a constant flow of cruise ships whose passengers [at one time including the Jumpmaster and his spouse] disembark for bus tours in the city of Florence, about an hour away.